Seek a commercial locksmith in White Rock? Give us a call! We have the experience you expect from professional locksmiths and are also updated in order to offer smart solutions tailored to your company’s needs. Every tech on our team at Locksmith White Rock is not just well-trained, licensed, and qualified to do any job for you. We are also discreet and reliable and our overall goal is to offer services which will keep your business secure without making your access difficult. 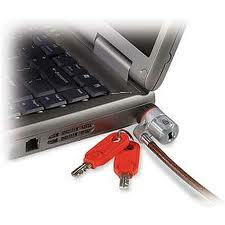 Looking for new security solutions? Want door closer repair? From emergency tasks to huge projects, our team in White Rock, British Columbia, is at your service. We offer emergency commercial locksmith White Rock service 24/7 when you are locked out, a lock is broken, a door doesn’t lock, or the security of your office building is at stake. Every little detail about your property’s security is important. If the emergency exits don’t allow immediate evacuation in the event of a fire, a simple mishap can turn into a tragedy. Call us for urgent panic bar repair. Is any other lock jammed? Does the problematic door closer make access hard? We provide locks repair as soon as possible and can handle issues related with any type of commercial lock. If you are interested in increasing the overall security of your business, rely on the ideas, suggestions and services of our office locksmith team. We can replace, change, and install all commercial mechanical and digital locks. Want to invest in internal security? Let us change the door locks, replace the file cabinet locks, install new access control systems and take care of any demand. Our company provides commercial locks change as soon and as discreetly as possible. There is no task you can’t trust to us. Need lock rekey? Want burglary repair? Wish to prevent future break-ins or other problems? Let us help you! We’ll be there 24/7 during your urgencies and also by your side when you need to take serious security related decisions. We are also experts in industrial locksmith and can cover your special requests with equal professionalism and speed. Talk to us about your concerns or plans. Call us today!